In this fast-paced, tech-centric world, communication is abbreviated and (woefully) grammatically incorrect. Plenty of us could care less (oh sorry, couldn't care less) but we do feel pretty bad for those of you who mourn the lost art of the english language as it was intended. If your someone who considers the first part of this sentence to be an abomination (cue the impending hate comments: "it's you're, you uneducated little cockroach") we have some good news for you. 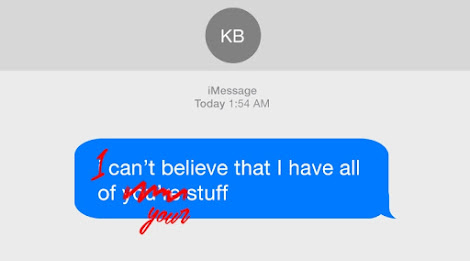 Finally, there's an app that allows you to overlay corrections on your friends grammatically incorrect, reprehensible texts. Grammar Snob is here for you when the hairs on the back of your neck stand up after someone interchanges 'there' and 'their.' It will also come to your rescue in the darkest of times when someone dares to misuse a semicolon. All you have to do is tap the appropriate sticker, hold it above the offending message, and send it back. Maybe your good-for-nothing friends will finally learn a thing or two. No, you will NOT go "lay down." Read a book, for once. Future copy editors of the world, this will be great practice for you. 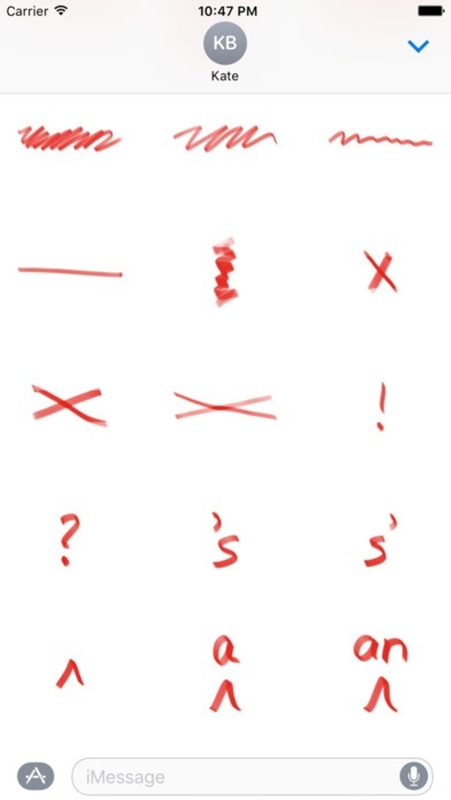 You can cross out extraneous words, fix punctuation, etc. And thanks to one grammar snob's request, you'll soon be able to fix your friends' moronic way of asking "what's up?" 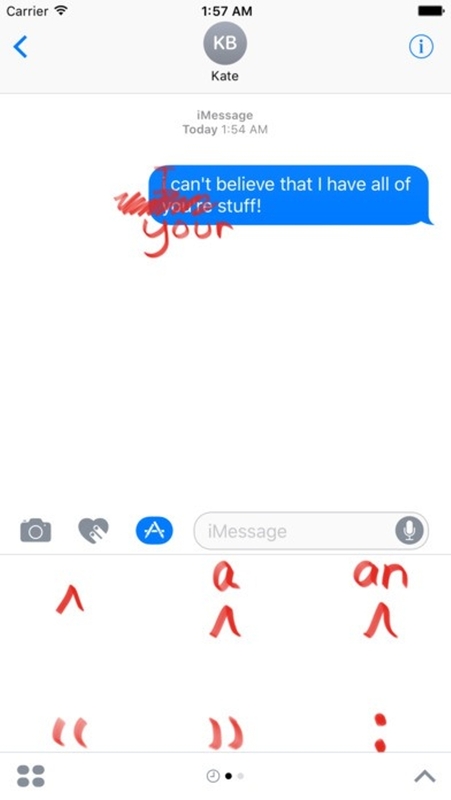 "How's you" will be a thing of the past. Thank God. 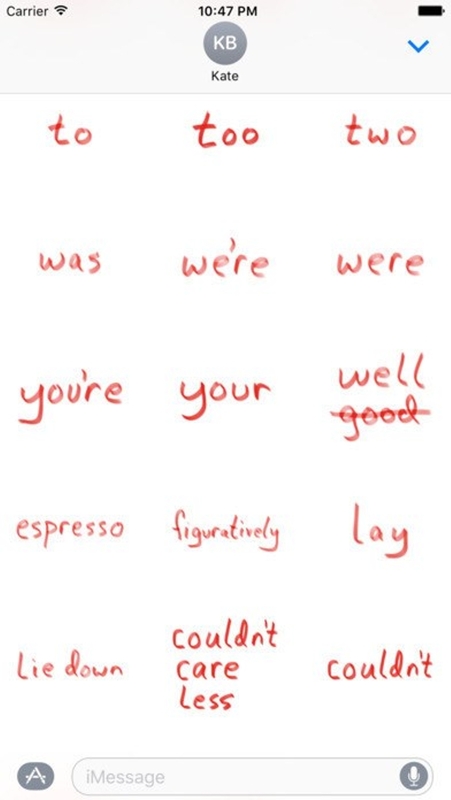 So, grammar nerds, go wild. Your poor, unsuspecting friends need correcting.